These are not very exciting and I don’t really like the cream patterned one, so I’m squishing them both into one post. First up is the blue spotty one, I do like this. Its a Marshmallow without the frill skirt bit. And now for the cream one. I’ve come to realise I’m not very good with fussy patterns, or flowery ones. They make me feel frumpy! I love the look of the pattern on this fabric, but its just not for me. Its a bit like this one below. 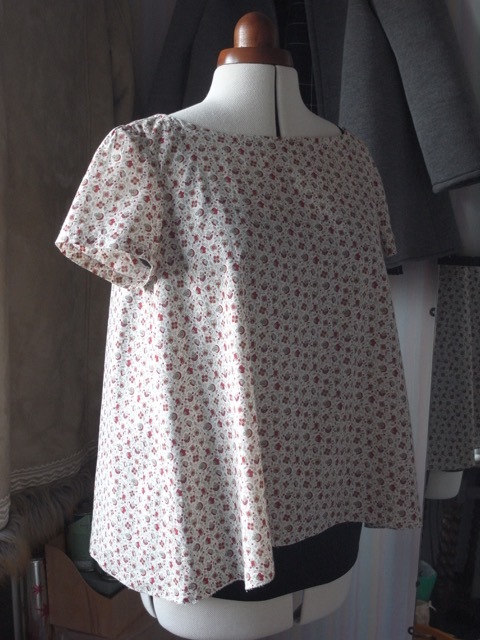 I love the top I love the fabric, but I just feel a bit frumpy when I wear it. I will continue to wear it though as the fabric wasn’t cheap, and I don’t want it going to waste!